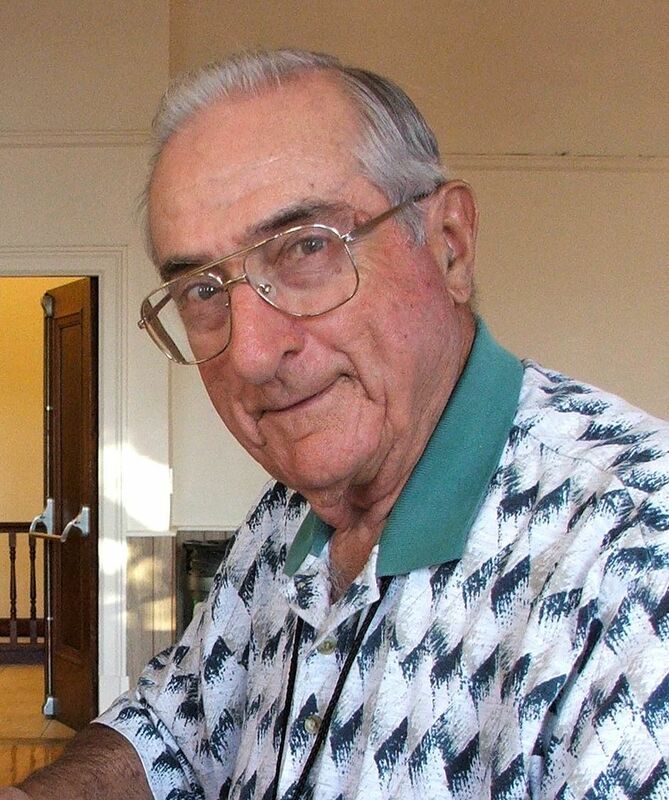 Gerald Cresci, grower, wine educator, and home winemaker, passed away on June 24, 2014 at the age of 92. He and his wife Nellie belonged to Sacramento Home Winemakers for over 30 years. Gerald was well-known in both the commercial and home wine making judging circles. He readily shared his knowledge on the endless aspects of wine making and wine appreciation. He did not hesitate to share his time and beautiful wines with us. We will miss our good friend. Rosary will be on July 1st at 6 PM at Ben Salas Funeral Home at 149 4th Street, Galt. Mass will be on July 2 at 9 AM at St. Christopher’s Church on S. Lincoln Way, Galt. Reception following Mass. Burial will be at Calvary Catholic Cemetery, 7101 Verner Road, Sacramento. Contact Don Koehler at dkoehler@lanset.com. Loomis Vista Vineyards has approximately 800 – 1000 lbs. of Grenache for sale this harvest $0.50/lb. Crusher available. Picking extra, if needed. Previous vintages available to sample. Contact Mike Harris by phone at 916-712-1912 or by email at m.harris@pacbell.net. Napa Valley Grapes, off Silverado Trail Calistoga AVA. Merlot Grapes for sale 1 ton available. $780.00 for 1/2 ton picked. Shaker Ridge Vineyard’s 2nd Annual Competition is well under way! Wines made from the vineyard’s grapes that place in home wine competitions are eligible to enter the vineyard’s competition – the prize is 250 lbs. of 2014 or 2015 Shaker Ridge Vineyard grapes. Competitors must notify Shaker Ridge Vineyard of the wines entered for each competition PRIOR to judging day. Several winemakers are in the running – see the vineyard’s web link for detailed information. Shaker Ridge still has available touriga nacional and barbera for the 2014 harvest. Contact Chuck Sellers at: casellers@frontiernet.net , phone number is (916) 686-1530. Chuck and Rex Johnston are looking for one or two people to take a share of 1000 lbs of Verdelho from Ron Silva of Silva Spoons Vineyard in Herald California. They want 500 lbs together so only 500 lbs more to go to make the sale! If interested call as listed above. Price is approximately 60 cents a pound. Sorry for the delay – a couple of your SHW web people were out of town… here is the June 2014 Grapevine Newsletter. Hope to see you all at the Jubilee Picnic next weekend (see inside for what food to bring). Remember Swimsuits and sunscreen!! Results for the friendly Shootout wine competition between Amador Winemakers Association and SHW were revealed at a BBQ at Andis Winery on May 31. The contest’s winners can be found here: AWA_Comp_Results (1). June Jubilee Picnic, Awards Ceremony and Wine Tasting!! Sunday June 29, 2014… Pay now or lose out. Jubilee Picnic and BBQ will be in Judy Pinegar’s Back Yard and Barn Sunday June 29 th. The actual picnic/BBQ will begin at 1 PM with the main course planned for about 2 PM. The club will provide BBQ meat, Chili Beans, French bread, and lots of water. All wines from the competition will be available for tasting, including the Golds and Best of Shows. Remember to bring your wine glasses. For more information and directions to Judy’s place click here. For more info or if you are lost on the day of call (916) 652-5198 house phone or (916) 224-6742 cell for Judy. The cost is $10 per SHW member and $15 per non-SHW member if you reserve by Friday June 20, 2014. After that date, picnic reservations are $20 and $25, respectively…BUT absolute cut off is Tuesday June 24. NO Last Minute arrivals. Children under 12 are free! Please reserve space and pay in advance, so that we can order the correct quantities of food. Send your money along with the reservation form below. Get Your Entries Ready – The SHW Jubilee Judging is Near!! Either bring your bottles, money and forms to the June Meeting, Wednesday June 18, or call Henry Wilkinson, Cellar Master at 916-997-3056 and make arrangements ASAP! Wines entered by SHW members dazzled the competition’s judges! Rex Johnston and Barbara Bentley’s 2011 Rhone White Blend earned Best of Show White Wine. Collectively, SHW members earned 8 double-gold, 12 gold, 20 silver, and 19 bronze awards. Congrats to all! For a complete list of awards, click here. The list can also be sorted by winemaker by clicking on the red box in the upper lift on the list.